Patrons of Sophia’s Kitchen don’t need to worry if they will be hungry on the weekends or after hours. 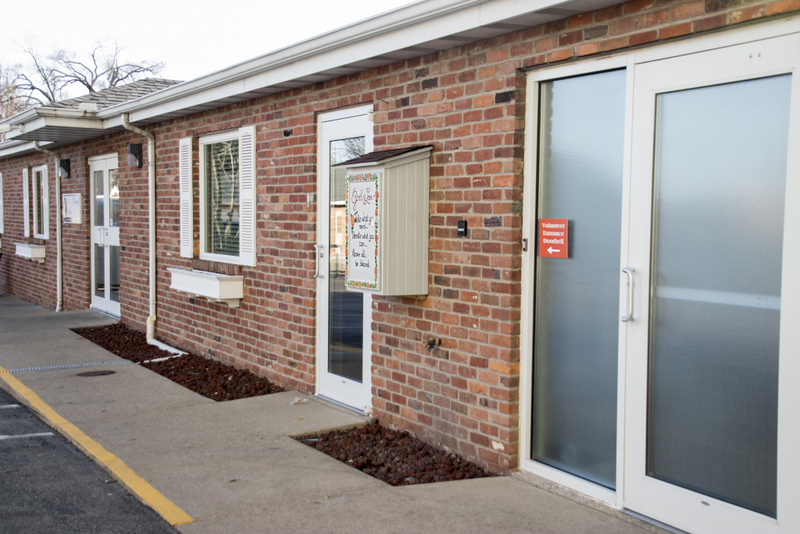 The Little Free Pantry is stocked with emergency food, and accessible 24/7. Anyone is welcome to help themselves to what they need. The pantry is stocked with fresh supplies at the end of each serving day, and by generous parishioners and others as they can. 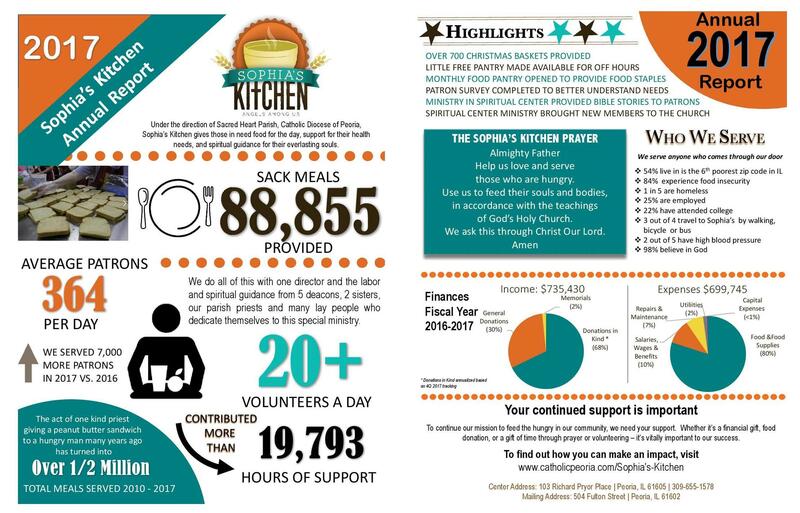 A survey of the patrons taken in June 2017 gave the staff and volunteers at Sophia’s Kitchen a better idea of how to best serve our patrons needs. One of the things that had been mentioned several times was that often it is much more difficult on the weekends to get food. 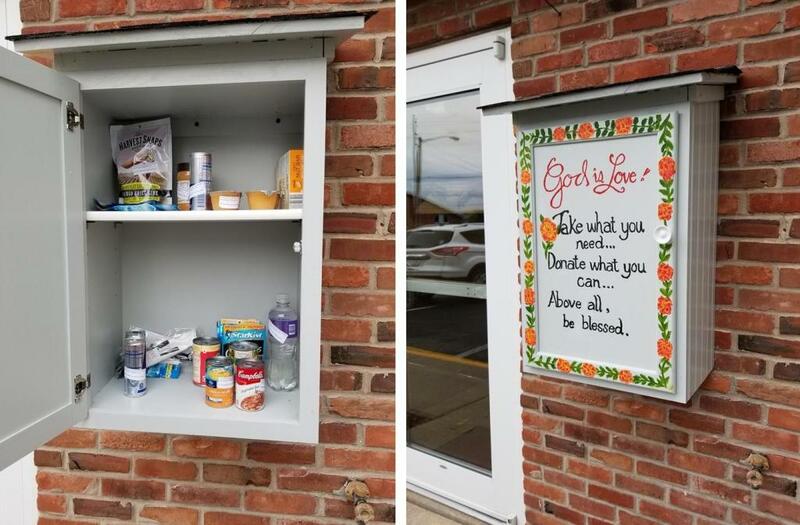 We addressed the issue by establishing a Little Free Pantry beside the main doors of Sophia’s Kitchen, which is located in the parish hall of St. Joseph Church, 103 Richard Pryor Place. It is stocked with nutritionally dense foods such as Nutri-Grain bars, nuts, nut butters, cans of soup, fruit, applesauce, and pouches of tuna. Would you like to help keep the pantry full? Donations are always welcome. Think nutrition! Protein bars, low sodium, low fat help fill tummies while keeping our patrons healthy. Easy open packages are fantastic! The homeless don’t always have access to can openers. Plastic wrapped disposable forks and spoons are a blessing! Please don’t place items that need refrigeration in the box. They’ll spoil, and no one eats them. In the summer months, water bottles and juice are appreciated. In the winter months, please avoid liquids that freeze, like canned soups. Scarves, gloves and hats are most welcome. Glass bottles break and make the sidewalk dangerous. If you cannot make it here, would you consider a donation? 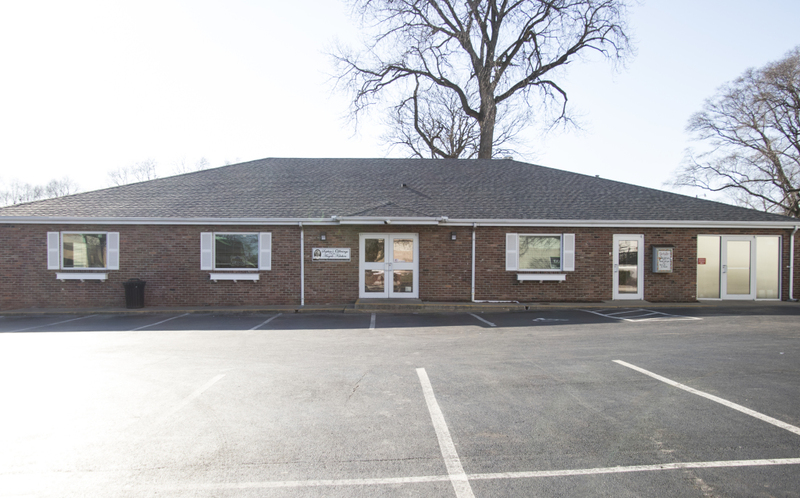 Just click the "support our mission" button, or mail a check to Sophia’s Kitchen, c/o Sacred Heart Church, 504 Fulton Street, Peoria, IL 61602.